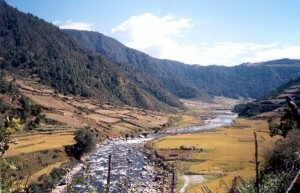 Dirang is famous for its pretty gompas and colorful Kalchakra celebrations, is located nearby Bomdila. If your visit does not fit in with its timing, do visit the yak breeding centre – it can be quite enlightening. Enjoy a dip in the enervating waters of the local hot spring in verdant surroundings, Famous for its apples; it has also started kiwi cultivation. In the winter, you will spy the black-neck crane of Ladakh here, as you climb to the higher reaches of mountain road to Tawang, the forest thins out and air becomes increasingly cold. This entry was posted in Arunachal Pradesh, Dirang. Bookmark the permalink.